The saga of the Fox regional sports networks (now owned by Disney, but not for much longer) has taken yet another twist. The BIG3, Ice Cube’s 3-on-3 basketball league that’s one of the remaining bidders here (albeit with them only putting in $350-500 million, with Carolyn Rafaelian, Centerbridge Partners, and Macquarie Group each committing $1 billion and the group “issuing debt” for the remaining $6.5-6.75 billion of their $10 billion bid), has now filed FCC complaints accusing cable provider Charter of “undermining the sale process” by refusing to carry the networks if the BIG3 group wins them. In letters to the Federal Communications Commission and the Justice Department, Big3 Basketball LLC alleged that Charter’s conduct is depressing prices in the auction and suggested the situation could benefit Charter’s largest shareholder, Liberty Media Corp., which is also a bidder. Big3 said it has engaged in negotiations with Charter over the price the cable company would pay to carry the sports networks should Big3 be the winning bidder. Big3 said the discussions broke down and it now fears the channels will lose carriage. “Charter’s conduct risks effectively excluding Big3 from the bidding process and tainting the auction,” the company told the FCC. “It has been suggested to Big3’s ownership that Charter has disseminated its threat to drop the (regional sports networks) to other members of the industry, thereby suppressing auction prices, chilling bidding, and ultimately hurting Disney’s ability to secure the best price for the (channels),” the letter said. A Charter spokeswoman had no immediate comment. Sources said that Jeff Krolik, the President of the RSNs, hired a team of experienced distribution execs on an interim basis to lead these negotiations. The group is led by former Fox and Time Warner Cable exec Mike Angus. Former Fox distribution execs Chris Killebrew and Steven Hunt also will be working on the negotiations on behalf of the RSNs. The trio has decades of experience in the business and has cut hundreds of carriage deals over their careers. 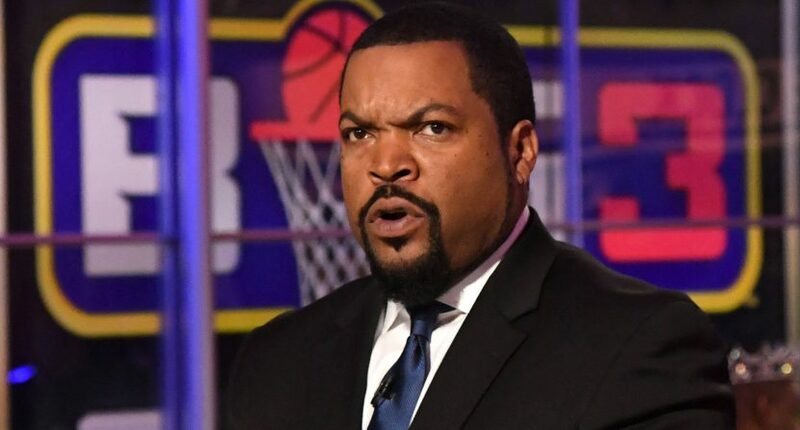 While private equity firm Centerbridge Partners LP and jewelry maker Carolyn Rafaelian are financial backers of the bid, Ice Cube is teaming up with [Serena] Williams, Snoop Dogg, Kevin Hart and Michael Strahan’s SMAC Productions as content partners. Of course, this complaint can’t be written off entirely. We don’t know what exchanges the BIG3 had with Charter, and if they’re able to prove some sort of “We won’t carry these networks at any price if you win them,” that might lead to an actual result here. And we have seen the Justice Department and the FCC get involved with RSNs and with carriage disputes in the past; AT&T and DirecTV had to eventually settle a Justice Department lawsuit over collusion to not carry Spectrum SportsNet LA (the Dodgers-focused RSN), and Disney is only selling these RSNs as part of an agreement with the Justice Department to allow for their purchase of other Fox assets. And while the BIG3’s bid has a lot of questions on many fronts relative to the ones from Liberty and MLB, especially when it comes to financing and programming, it may carry less potential antitrust issues. Liberty’s stake in Charter could matter, as could the involvement of multiple team owners with that bid, and a House committee raised questions about MLB and antitrust if they buy the networks. The BIG3 could wind up with its own antitrust problems as a league and a network owner, but given the limited scope of the BIG3, that may concern regulators less than a MLB or Liberty purchase. Still, unless the BIG3 has rock-solid evidence that Charter is actively hindering them to boost Liberty’s bid and refusing to carry these RSNs at any price, this feels like a bit of a stretch at the moment. Many carriage deals don’t come together until the last minute (or afterwards, after providers or channel owners actually pull channels), so “You haven’t signed a carriage deal with us yet” doesn’t seem like much of an argument. And it would seem difficult for Charter to agree to carry these RSNs under BIG3 ownership when the BIG3 hasn’t won them yet, hasn’t revealed its programming plans in anything but general terms, and appears to be a longer shot to win the networks than the other two remaining bids. It will certainly be worth watching to see if the FCC and/or the Justice Department feel there’s any merit to the BIG3 complaints here. If they do, that could throw yet another twist into this RSN auction, and it could boost the chances of the BIG3 actually getting these networks. But there’s also a chance that these complaints are just one more way for the BIG3 to get itself in the headlines, something it’s very good at. We’ll see how this plays out.